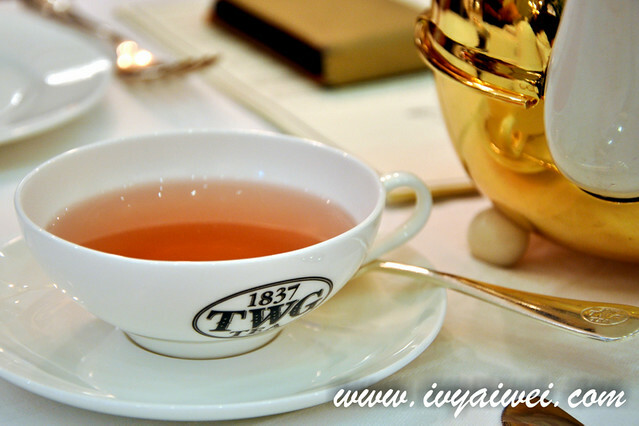 So… by the end of the week, together with my BFF Christine, we decided to pamper ourselves with a good afternoon tea session, something we longed for after a tough hectic week. 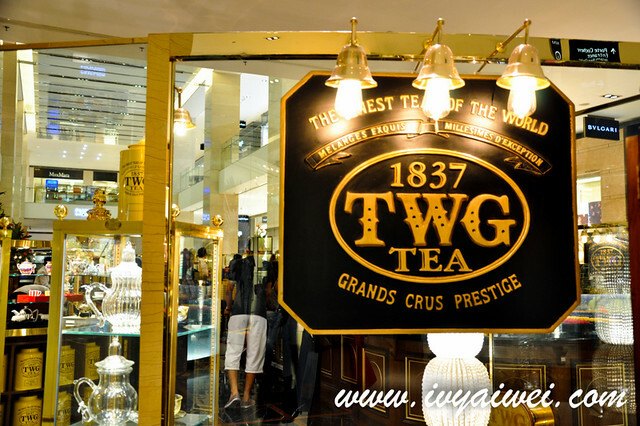 Used to be Café Stelle by Raffles, it has now been replaced by TWG Tea Salon & Boutique. 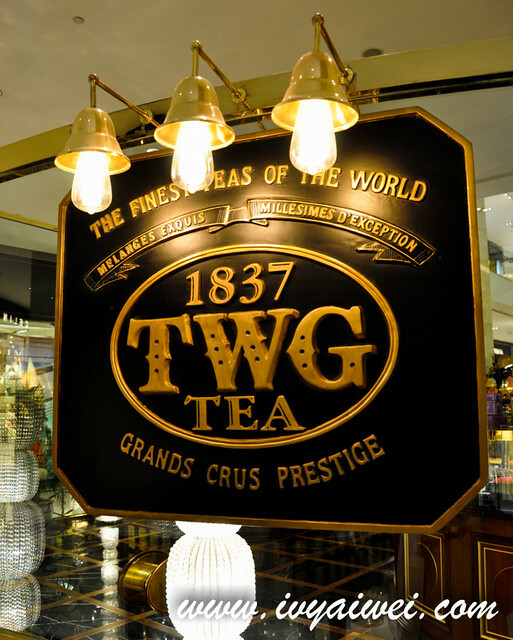 This tea boutique is absolutely a place to experience the luxurious tea drinking session as well as indulging their tea infused sweets and savouries. The boutique is glamorous and posh, decorated with pretty tea sets on the shelves, lit with a relaxing lighting to create a peaceful ambiance. 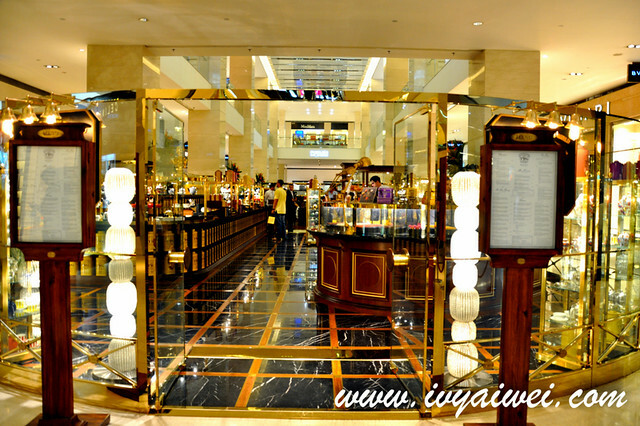 Needless to elaborate much, I am sure most of you must have noticed this attractive tea boutique if you were here in the mall. 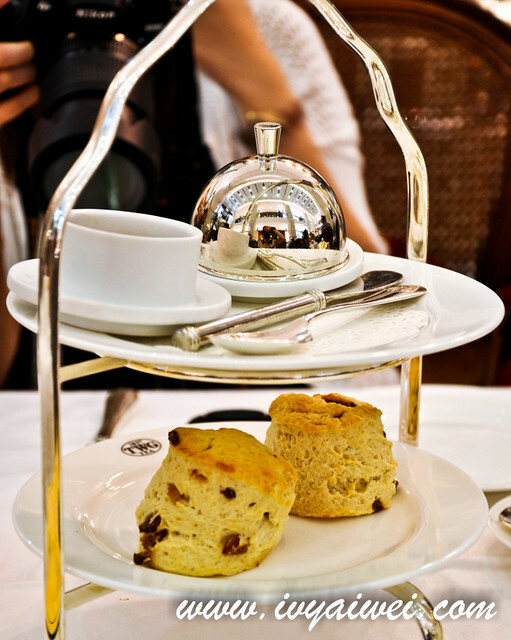 Shall we move on to their afternoon high tea?! 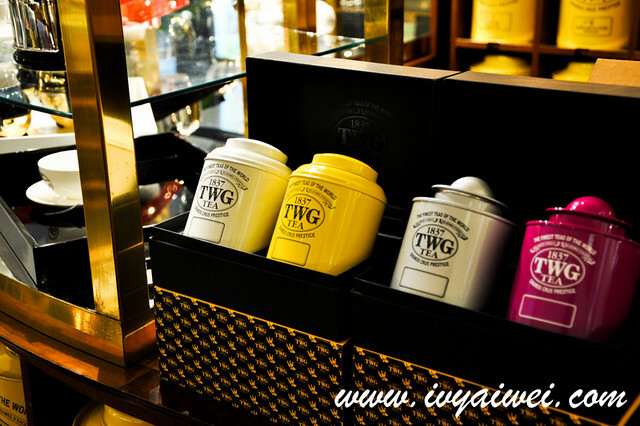 TWG Tea from their extensive tea list, very extensive long tea list it is. We had our helps from the lovely staff. She recommended us to have their Pink Flamingo, which appeared in the lovely pink, infused with a mixture of fruity and flower blend. 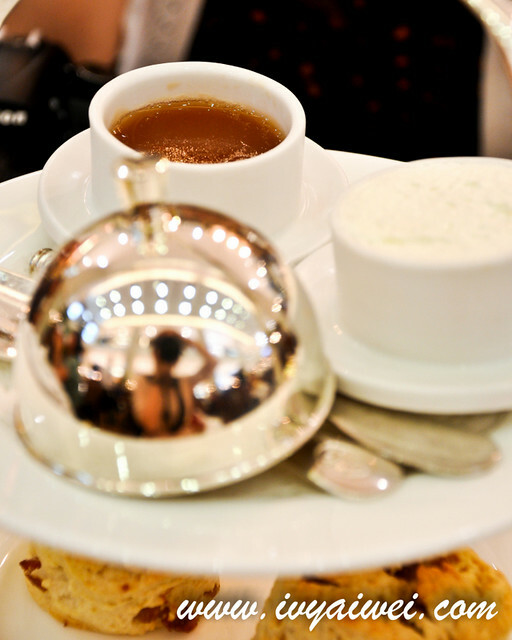 The colour and the flavours of the tea cheered us up, made us happy. Yes, we love it. 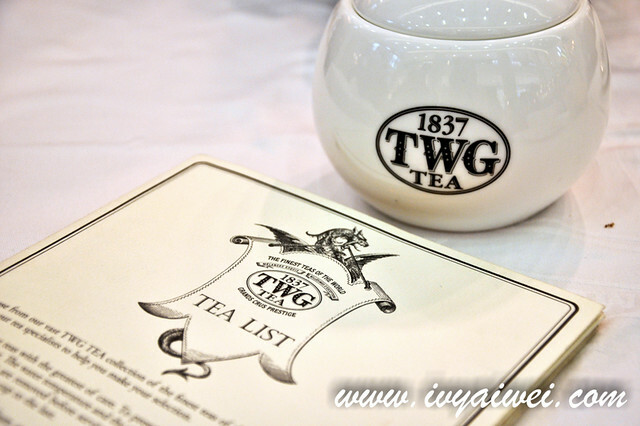 The set comes with choice of 2 freshly baked scones or muffins and served with TWG Tea jelly and whipped cream or 1 patisserie from their trolley. We had their scones. 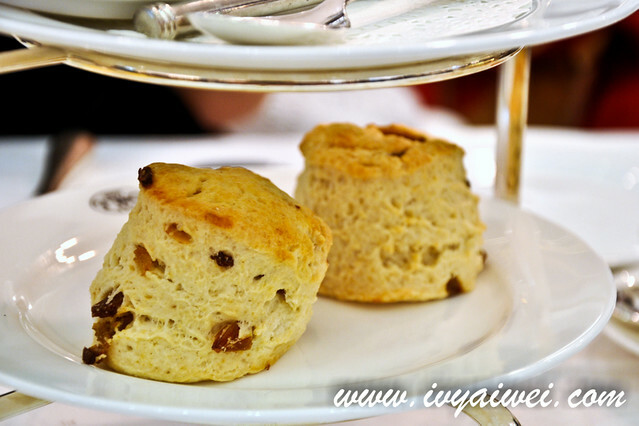 Freshly baked scones came warm and buttery. 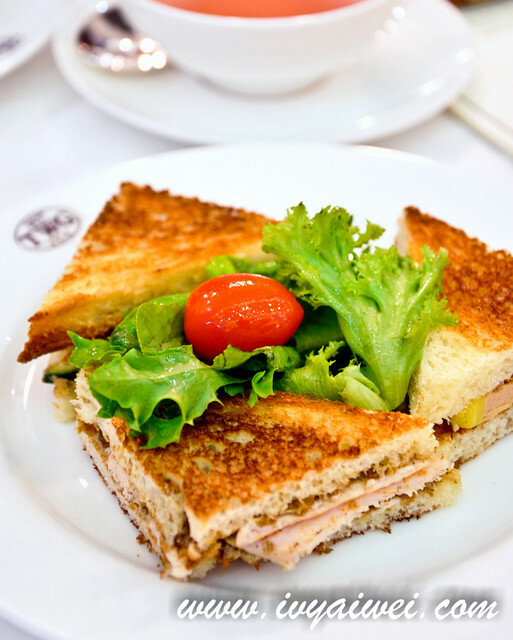 A petite selection of three finger sandwiches. 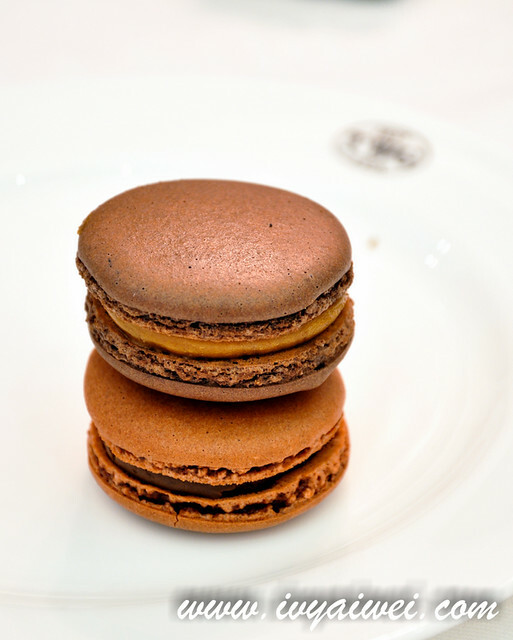 We chose their Imperial set that comes with Foie gras, Chicken with Comptoir des Indes Tea infused with creme fraiche, Cucumber with cream cheese infused Earl Grey Fortune. 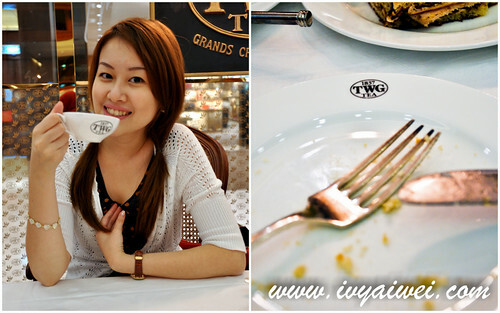 TWG Tea Macarons, our additional orders. Ahhh, fascinating pieces, with tea infused in these crispy almond biscuits. Good, but I still prefer the one from the Nathalie’s. The BFF, satisfied with her afternoon tea. 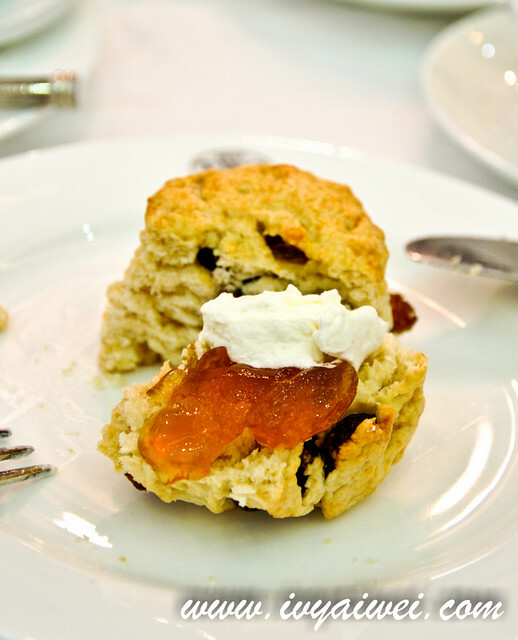 The scones look nice and fluffy. I love the Singapore creme brûlée like dessert that they sell there.Can’t remember the name of it but it’s creamy on top with berries underneath.